Composed by Lewis Hartsough. Arranged by James Gilbert. Christian, Contemporary Christian, Gospel, Sacred. 10 pages. 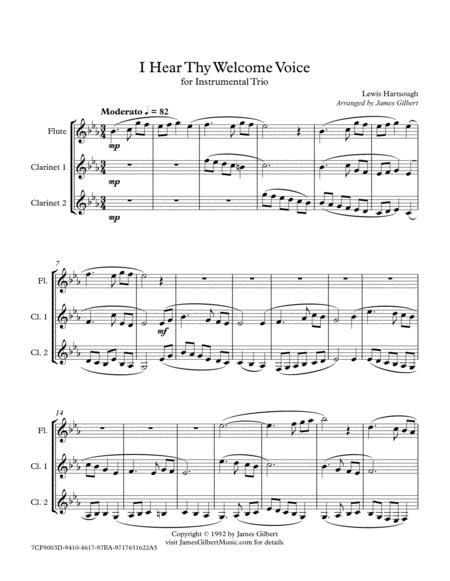 Published by James Gilbert Music (S0.38873). The familiar hymn in a easy going setting. For Flute and 2 Clarinets. (Includes substitute parts for violin flute oboe).